Masamune Izumi is a light novel author in high school. His artist, known only as "Eromanga Sensei" is reliable but Masamune has never met him and assumes he's just a perverted otaku. Masamune's little sister is Sagiri, a shut-in girl who hasn't left her room for an entire year. She even forces her brother to make and bring her meals when she stomps the floor. Masamune wants his sister to leave her room, because the two of them are each other's only family. 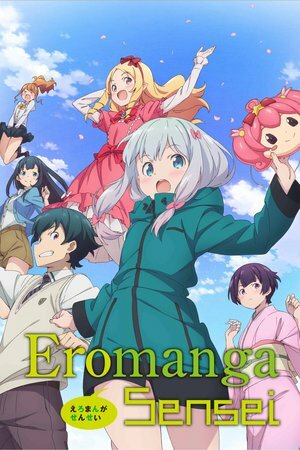 One day Masamune discovers that Eromanga Sensei and Sagiri are one in the same. Further chaos erupts between the siblings when a beautiful, female, best-selling shoujo manga creator becomes their rival. J'ai aimé le concept mais ça s'est fini trop vite...on a pas le temps de s'attacher aux personnages ni à l'univers de l'anime..dommage..
L'animation Jap à tellement mieux a vous offrir, cette série ne vaut pas le coup.